The Center will be used by several institutes for research and education. 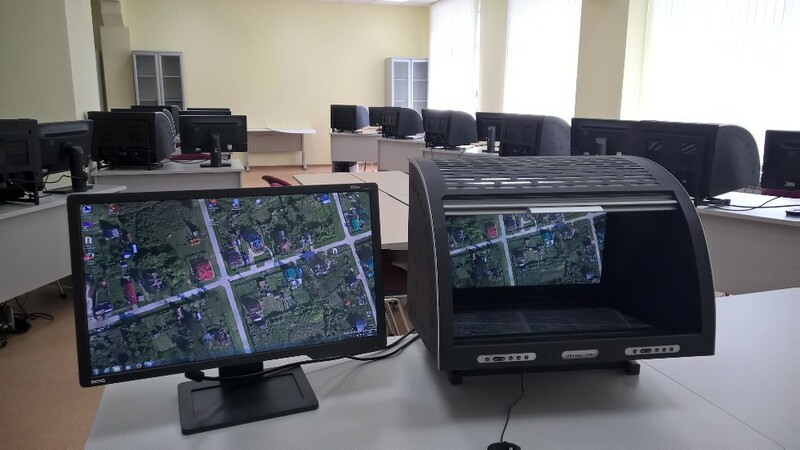 Associate Professor Vladimir Bezmenov (Department of Astronomy and Space Geodesy) told us that the Center is equipped with 11 digital photogrammetry stations with custom HD stereo monitors. Relevant software for digital processing has been installed. “The project was implemented by Center for Space Research and Technology, Space Geodesy Lab, and Department of Astronomy and Space Geodesy of the Institute of Physics”, said he. Photogrammetry is one of the methods for remote sensing of Earth, Solar System, satellites, and minor celestial bodies. Photogrammetry provides precise spatial data for 3D models and maps – not only for Moon and Martian satellites but also many parts of Earth. The Photogrammetry Center will be used both for education and research. The projects will utilize all the equipment spectrum – workstations, satellite communication and recon equipment, drones, optical and radio devices, and printers.